Have you ever visited someone’s home and tried to cook in their kitchen or even just find where the coffee, mugs, and filters are located? It can be frustrating because nothing seems to be in the right or logical place. On the other hand, when you immediately find what you need, it feels good. 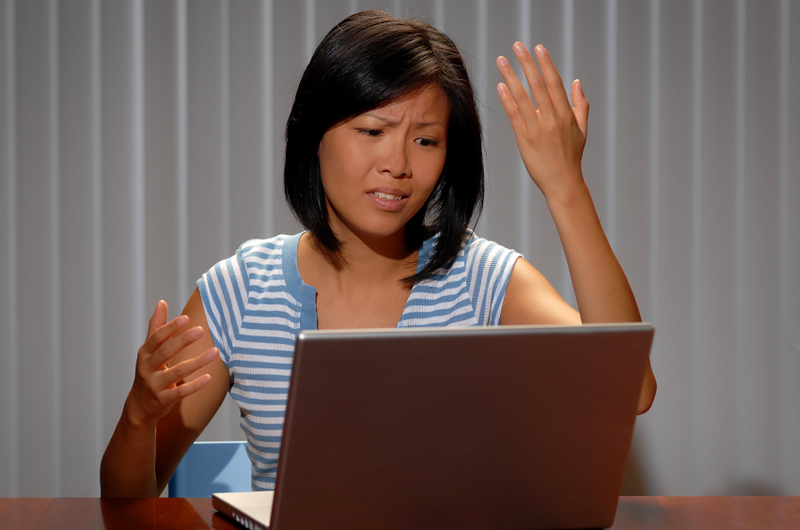 Visiting websites can create those same feelings in prospects and customers. UI (User Interface) and more recently UX (User Experience) are the disciplines that make prospects and customers feel like a website has been designed specifically for them so that they don’t have to go hunting for what they need. Let’s start with UX since it’s less familiar and it is the driver behind the UI. UX stands for User Experience. UX is about looking through the lens of the customer first and foremost instead of designing a website to fit a brand. Prospects are very quick to jump off a page and off of a website if something is difficult to find, there are slow uploads, or navigation is tricky. UX is about giving prospects what they want instead of expecting them to conform to how we want to present information and navigation. 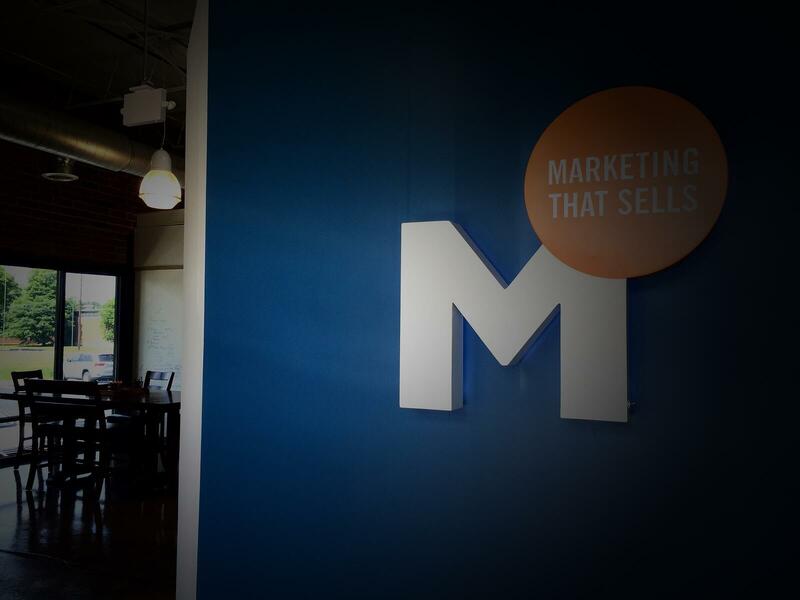 Are prospects more likely to be looking at your site on a mobile device? What frustrates them about what is currently being offered by competitors…or maybe even you? Are quick-pick packages a better fit or do they hate paying extra for bundled packages that include components they don’t need? Have you given them content or resources that help them make good decisions, rather then selling your products? Here is a good example of a great UX. If you visit the site, note the header that stays fixed as you scroll down, the clean layout that does not overwhelm the reader with information, and simple icons that provide great visual cues so that copy can remain succinct. It’s not just prospects and companies that will punish you for bad UX. Google, with its latest Panda update, will put a disclaimer on mobile search results that do not live up to the advertising. For example, if a specific page comes up in a mobile website search but the click takes you to a home page, Google is calling foul and putting a warning on the search result. At its core, UX is about research – and truly understanding your current customers and prospects. Customers who are very happy about their user experience can become evangelizers, just like customers who are not happy with their experience can spread the word about that, too, on review sites and across all their social media channels. UI stands for User Interface. This is the visual journey a prospect takes through your site and includes the buttons, graphics, navigation, fonts, colors, etc. It’s the place where your unseen software or application that runs behind the website meets the user who interacts on the visual displays. Consistency is a key element to making the UI feel comfortable to your prospect. Integrating all the visual elements to flow smoothly and support your brand identity makes your website more effective and contributes to site visitors’ overall perception of your company..
UI is about thinking logically about the customer journey. 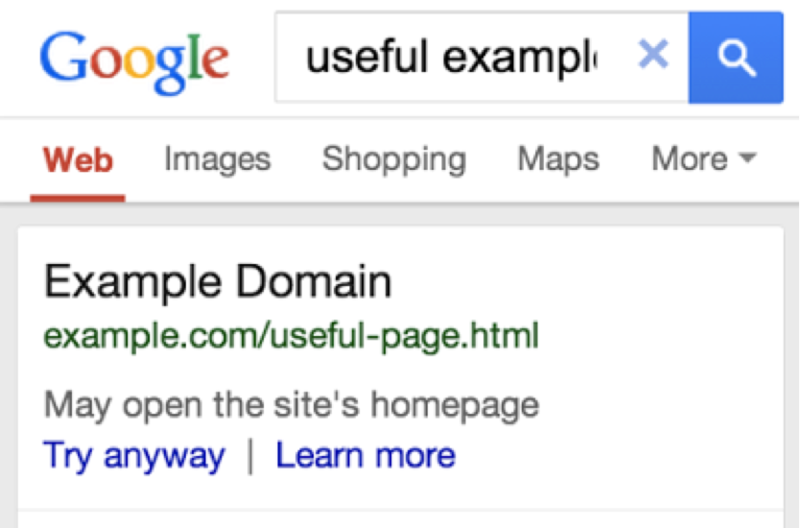 For example, don’t make prospects search high and low for a link back to the home page or for calls-to-action. Make them visually clear and obvious. In addition to graphics, your users will be looking at copy. Be clear and concise in your copywriting. Cut quickly to the heart of what you need to communicate. And don’t “bury the lead” as they say in journalism. Get the most critical data upfront. A great UI weaves navigation, graphics, typography, and copy together to pull prospects through your website. 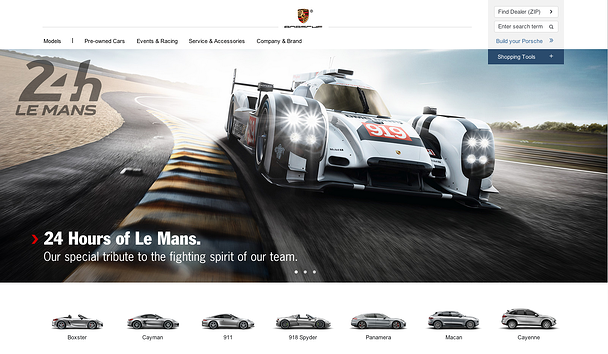 The PORSCHE website is a good example of an effective UI that graphically displays high functionality and prospect intuition with important search categories in easy and obvious reach. The site has a high-tech and sleek look that fits with the PORCSHE brand. I think it’s interesting that there is no tagline. The UI on mobile devices for this website is also outstanding. Should B2B companies care about UX and UI? B2B companies can no longer think of their websites as a digital, static brochure. Your website has to sell for you because a majority of B2B purchasers begin their buyer journeys online. They are expecting rich, informative, and easy to navigate experiences. If they don’t find it on your website, they’ll likely move on to your competitor’s site.